Tourism to Japan has soared in recent years, with one surprising result being a shortage of the country’s legendary ninjas. There’s an increasing demand to see the iconic warriors perform “ninja shows,” but martial arts squads are struggling to find candidates with the necessary skills. Many of those who do apply for positions, he said, lack the basic skills. This usually means being trained in unarmed combat, acrobatics, concealment and first aid while also being able to use throwing stars and fight with swords. Invisibility and walking on water, despite the folklore, are not part of the job description. 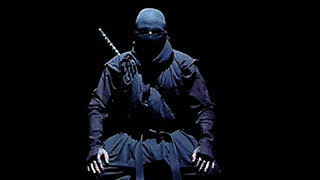 Ninjas first emerged as mercenaries in the 15th century during an era of civil war known as the Warring Statesperiod. They were recruited to act as spies, raiders, assassins or even terrorists. Although they have developed a reputation as fearsome warriors over the centuries, ninjas were primarily concerned with espionage during their heyday in feudal Japan. They prided themselves first and foremost on their skills in spying and their endurance – violence was seen as a last resort. However, they were traditionally skilled in using weapons such as shuriken, known as throwing stars in the West, and the fukiya blowpipe which was usually filled with a poisoned dart. Disdained by general society, which was based on a strict hierarchy with the elite samurai class at the top, they soon formed into guilds with their own sets of rules and ranks. These guilds had different types of ninjas, or shinobi, assigned to specific tasks and they often controlled their own individual territories.